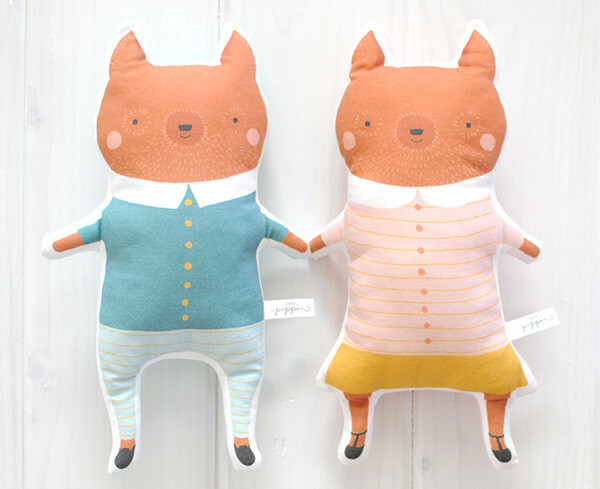 Their name might indicate that they are of small beginnings, but we predict big things for the handmade, custom print toys and original artwork from stunning Petit Pippin! Mother and daughter duo Ez and Kaia Pudewa are a dynamic duo of talent and the creators of the simply enchanting brand that is Petit Pippin. 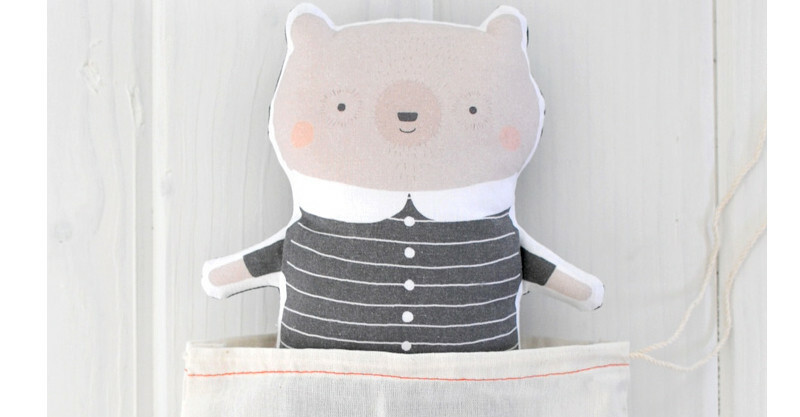 So popular is this brand, that the made-by-hand Pillow Pip soft toys quite literally, fly off the shelves the very minute they become available – and it’s easy to see why. 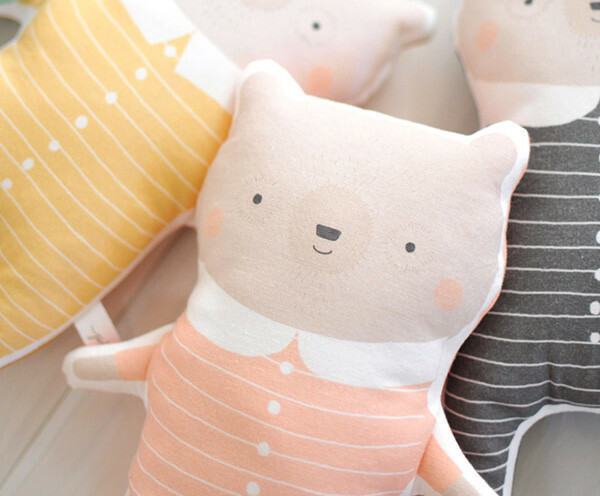 Pillow Pips (US$28) are Petit Pippin’s signature toys, a small collection of divine, one of a kind soft friends that you can’t help but love at first sight. The 25cm tall toys are created by hand in small batches using custom printed pure cotton and coordinating coloured Kona cotton for the back. Sleepy Bears are the regulars in this crowd and it appears that with each run, a new character is introduced – the last ones being the very dapper Lucas Fox and delightful Lottie Fox (pictured above). Babies can shake a tail feather too with the perfect Pigeon Rattle toy (US$18). 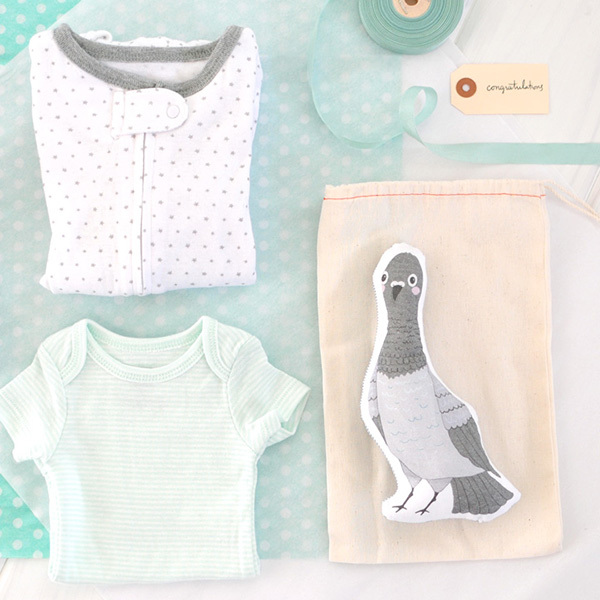 At 19cm tall, this feather printed friend is super sweet for the smallest of hands. Petit Pippin also lends its hand to beautiful works of whimsy art. Gicleé Art Prints are printed on heavy weight art paper and each print is signed by artist Ez Pudewa on the back. 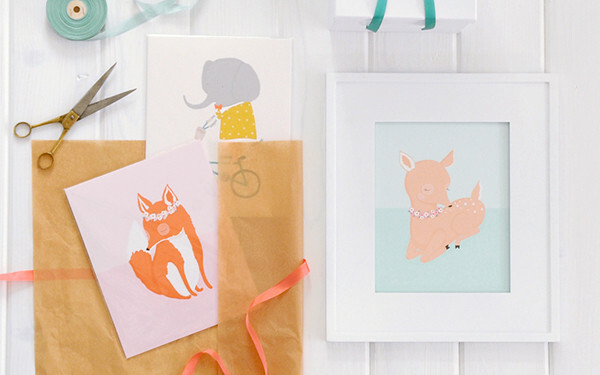 Available in two sizes – 20x25cm (US$24) and 28x35cm (US$36), there are 24 prints to choose from, including Sleepy Fox, Emerson Rides and Sleepy Fawn (pictured above). We know you’re all itching to know when the next intake of Pillow Pip toys will be and all we can advise is to follow Petit Pippin on Instagram and sit tight – they’ll let you know there – and when they do, you best be ready to pounce through that checkout!